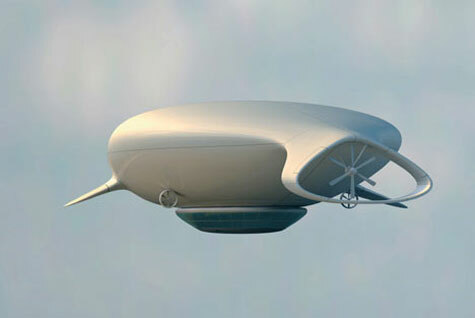 The airship is a floating hotel called the Manned Cloud, and - according to its designers - it will be capable of circling the globe in a few days. 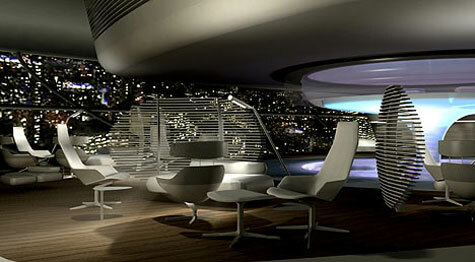 The 20 bedrooms will provide the ultimate room with a view as the airship cruises at a height of 18,000ft. It has a restaurant, a library, a lounge and a gym on the first deck. On the second level there will be 20 passenger rooms, terraces with panoramic windows, a spa and a bar room. The airship is powered by a giant rear propeller and also has two further engines pointing downwards for vertical take-off. However, if you’re thinking of checking in, you will have to wait until its expected launch date of 2020. Massaud, the French company behind the venture, is billing it as an ecologically friendly way to travel, leaving little impact on the environment - and eliminating the need for hotels. 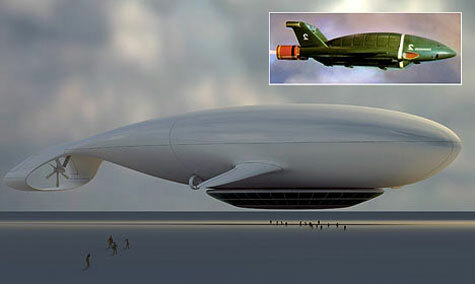 Designer Jean-Marie Massaud’s team has been working in conjunction with the French National Office of Airship Research on the project since 2005. A spokesman for Massaud, AurÈlie Ullrich, said: “The idea at the heart of this project is that passengers can see fantastic places like Thailand and theCaribbean without the need to build ugly hotels everywhere. “It could land for a few days or for a week if there is a big event going on. The cost of a night on the airship is yet to be decided, but it is likely to be out of the reach of most pockets. However, it could provide the perfect hideaway for camera-shy celebrities. • The Manned Cloud is almost 700ft long, 270ft wide and 170ft deep. • It has a staff of 15 to look after the 40 passengers. • Its makers say it will produce a top speed of 105mph and a cruising speed of 80mph. This means it could circle the globe in about ten days. • Airships were the first aircraft to make controlled, powered flights, with French engineer Henri Giffard travelling 18 miles from Paris to Trappes in 1852.
zeppelin..keep up the good work..